Alexander “Alex” Chappie, age 18, of Plainwell went to be with the Lord on October 31, 2016. Alex was born on June 12, 1998 in Kalamazoo Michigan to Gregg Chappie & Julie (Rohrer) Chappie. Visit with his family and friends on Sunday, November 6 from 2:00 to 3:00 at the Life Story Funeral Home, Plainwell; 120 Woodhams St. (685-5881). A memorial service will follow at 3:00 p.m. at the same location. Alex’s family includes his parents Gregory Chappie and Julie (Rohrer) Chappie, his brothers: Matthew John Chappie and Gregory Scott Chappie; grandparents: Nancie West and Robert & Shirley Rohrer; his aunts: Madeline, Kathy, Tamera, Dawn, Shelley and Sheila; his uncles: Sonny, Brian, Charles, Mark, David and Paul as well as several cousins. He was preceded in death by his grandparents: Clarence Chester Chappie, James West and Alexandria (Wrona) Chappie. 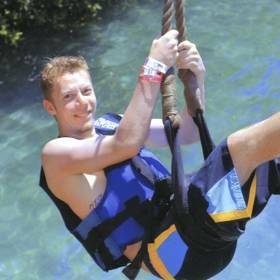 Alex had a zest for life and loved hockey, skiing, skateboarding, skydiving, disc golf and trampolines. Please visit Alex’s memory page at www.lifestorynet.com where you can archive a memory or photo and sign his memory book online. Memorial donations can be made to K.O.H.A. Hockey or to your charity of choice.